PATNA: Former chief minister and Hindustani Awam Morcha (HAM) chief Jitan Ram Manjhi today said he wouldn’t allow the entry of LJP chief Ram Vilas Paswan into the Grand Alliance. 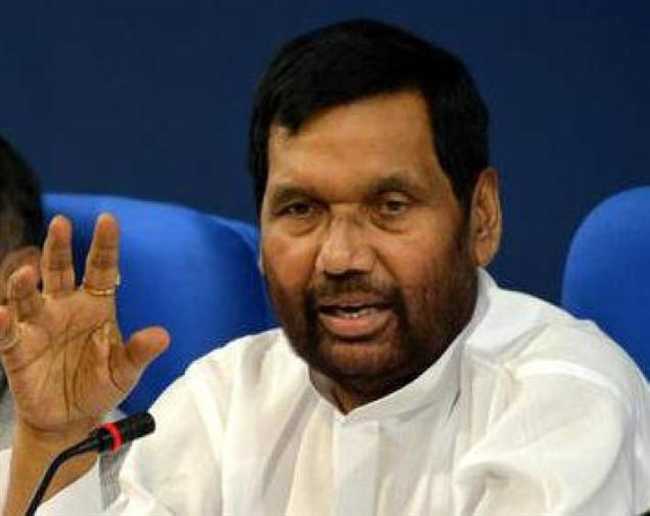 “There is no place for Paswan in the Grand Alliance. I will oppose his entry,” Manjhi told the media on Tuesday. Manjhi’s observations are in sharp contrast to RJD leader Tejaswjhi Yadav who has given open invitations to both Paswan and RLSP president Upendra Kushwaha to join the Grand Alliance. “This (welcoming Paswan into GA) could be personal opinion of Tejashwi but personally I will oppose any such bids to allow Paswan’s entry (into the GA),” Manjhi explained adding Paswan had nothing to do with the welfares of the Dalit community. Speaking to the media, Tejashwi has said he had no grudge against Paswan although he would block the entry of Nitish Kumar into the GA.
“Paswanji indeed changed alliances but he never ditched us like Nitish Kumar. He is welcome in the GA,” Tejashwi said.